What Are You Looking for a Truck Shop? Are you new to Lakeland, FL? Are you looking for a dealership alternative in Lakeland, FL, for your vehicle's service, repair and maintenence needs? Are you looking for a Truck & Heavy Equipment repair shop that specilizes in your field? Are you looking for a neighborhood Truck & Heavy Equipment repair shop you can trust? Are you looking for a family owned, independent Truck & Equipment service and repair facility in Lakeland, FL? Are you looking for an Truck & Equipment service center that treats you like a part of their family? At Abar Onsite Fleet Services, we want to make finding a good Truck & Equipment repair facility for people living in Lakeland as easy and painless as possible. We know selecting an honest and reliable Truck & Heavy Equipment repair shop is not always an easy process. Safety, quality, service and trust is what we build our reputation on—one satisfied customer at a time. 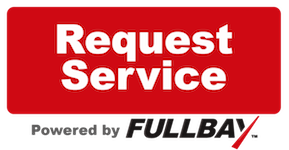 We want you to tell your friends, family and neighbors about our Truck & Equipment service. We look forward to maintaining, servicing or repairing your Truck & Heavy Equipment for years to come. Call us at , or click here to contact us online and set an appointment—Let us become your Truck & Heavy Equipment repair shop.